Keyboard shortcuts make our work easy and smooth. 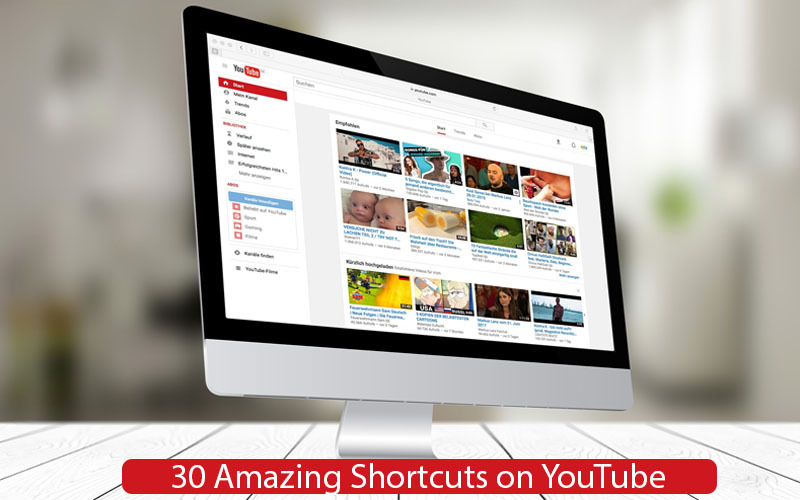 Especially if you are a YouTuber, your input data to a computer can become very easy and faster by using the following 30 amazing shortcuts on YouTube. By using keyboard instead of mouse on YouTube saves a lot of time. It helps to type faster and accurate. Instead of moving mouse from one place to another, just use single keyboard shortcut on YouTube and save time and make your workflow faster. Try the following amazing shortcuts on YouTube. Home Key = Go to the beginning of the video. Mac FN +Left arrow = Go to the beginning of the video. Almost all of the YouTube functions can be controlled by the keyboard shortcuts mentioned above. If I have I missed any, please feel free to comment them in the comment section below.